Book your Disney Florida holidays with an independent Florida expert and choose one of our cheap Florida flights to Orlando flying with Virgin. Stay in one of our Walt Disney Villa or Hotels for the children to enjoy this once in a life time experience. Its also where the Grandparents, Mums and Dads become kids again. With the biggest and best theme park attractions in the world, mixed together with gorgeous white sandy Gulf Coast beaches, it's no wonder that Florida is north Americans most visited state from the UK. This is our most popular with larger families or those with friends and families, as they offer the best value for money. 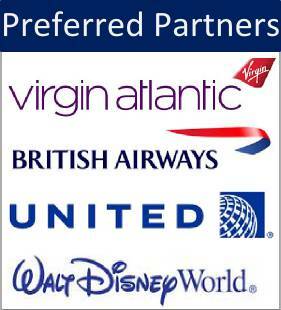 We have a huge range of villas from: 3 bedroom through to 7 bedroom room, staying at every resort in the Orlando area. We even have a few selected villas on the Gulf Coast - right on the beach. With all our Florida villa holidays you will need a car to get about, and our 2 recommended types are the intermediate for families of 4 and the MPV for up to 6, with our 15seater being asked for more than ever, due to more larger families travelling in 2018. To book these or any of our Florida Holidays then send us an enquire now form or call us on 01635 551011. 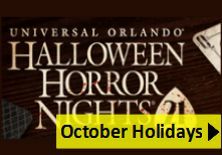 Staying at Rosen Inn on International Drive with shopping and entertainment plus free transfers to all Universal and Disney theme parks. Staying at CoCo Key Hotel and Water Resort, fantastic water rides and slides plus great location along International Drive. Stay in a 3 bedroom villa on arrival within a 30 minutes drive of Disney, with their own pool. One thing you can be sure of and that is we understand how important it is to find the cheapest flights to Orlando or flights to Tampa to be able to save you money. 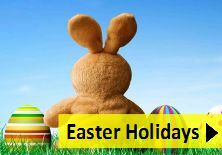 We specialise in finding cheap school holiday dates for your Florida holidays, which include Easter, Summer Christmas and all regional half terms. Like all flights abroad you will leave your Dog at home or need it walked so why not try out a local dog walker to help with your holiday arrangements. 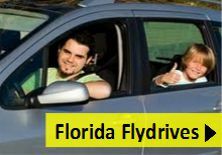 With so much to see in Florida (not just the Orlando area) why not enjoy a Florida fly drive holiday. Stay at the many motels in Florida, from the north up near Jacksonville Florida to the far south of the Florida Keys there is something for everyone. Visit our other things to see and do in Florida section for more inspiration. A huge favourite for the Disney holiday lovers. 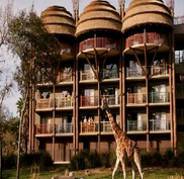 Every year Disney offers the chance of experiencing all their wonderful hotels and restaurants at a special discount. These offers are called Disney Dining Plans and they allow the whole family to enjoy added bonuses that Disney have to offer, including extra hours at the theme parks, eating out options, Disney character experiences as well as fantastic hotel hospitality that only Disney know how to provide. The Disney Dining Plan options are available for all of 2018.
booked with us before? If yes with whom? had a quote already? How did you find us? If you wish to receive details of special offers, please check this box.